We're celebrating National Park Week, April 21-29th, 2018, with these great travel articles and tips to help you ride America's National Parks. The National Park Service's annual National Park Week runs from April 21-29 this year. Travelers can take advantage of fee-free days at National Parks during the opening weekend on Saturday, April 21. In honor of Earth Day on April 22, parks will celebrate the 50th anniversary of the National Trails System and the Wild & Scenic Rivers System. Check out the below resources, travel articles and tips on national parks where you can horseback ride. 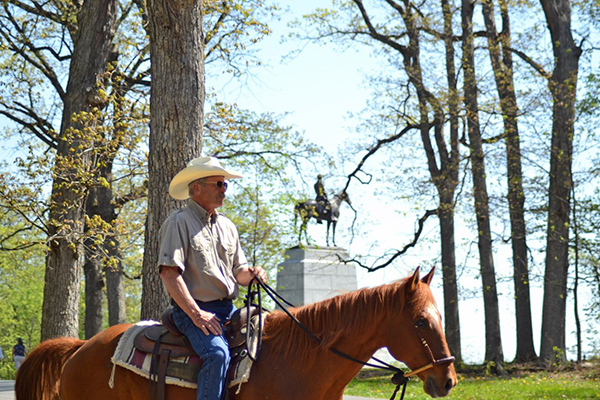 Top dude ranches and guest ranches conveniently located near Yellowstone National Park in Montana, Idaho and Wyoming, so you can visit America's first national park before, after or during your next ranch vacation. 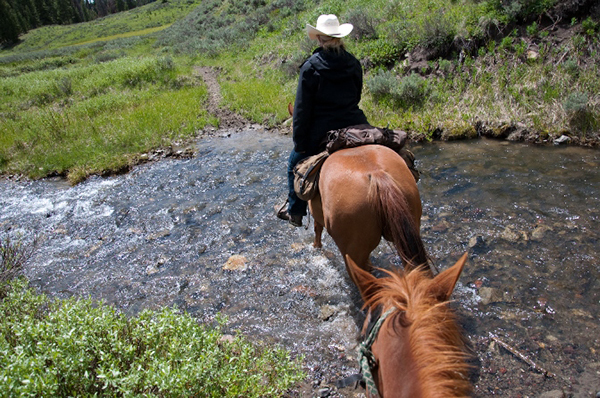 Read about riding in Yellowstone's backcountry with Yellowstone Wilderness Outfitters. The adventure begins with a road trip from southwest Missouri to Cody, Wyoming. Sure, you can see the Grand Canyon by foot or bus, but why not experience this must see National Park from the back of a mule? 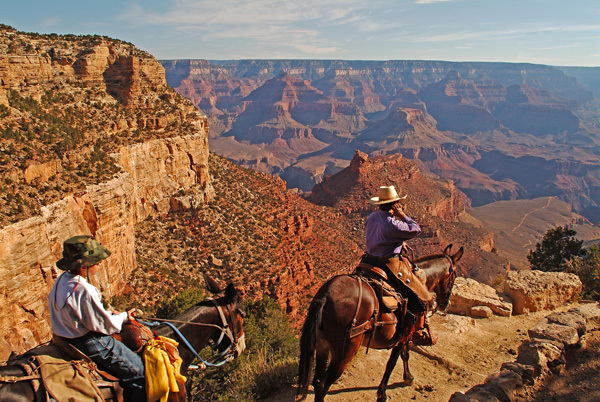 To kick off National Park Week, why not ride into Grand Canyon National Park. Gettysburg National Military Park, one of the country’s most visited historic sites, is located in Pennsylvania. 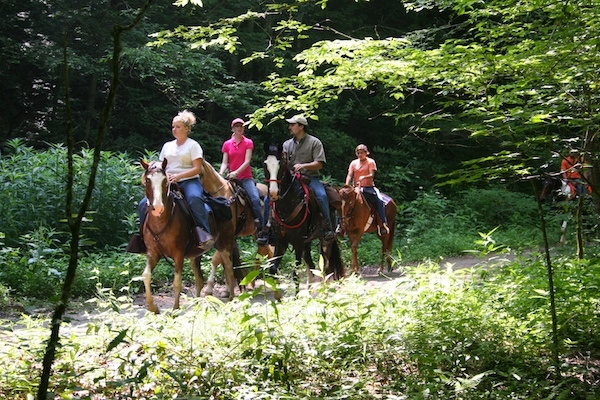 There are a few stables that will take you riding in this national park. Riding Gettysburg National Park in Pennsylvania. As lovers of ranches and national parks, we here at Equitrekking know a great vacation combo is to visit both at one time! 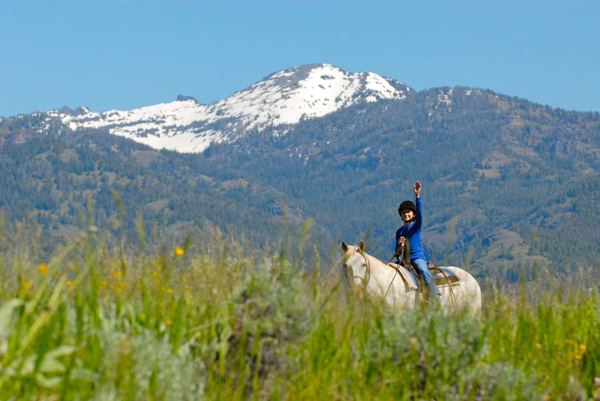 Check out these dude ranches in close proximity to great national parks. 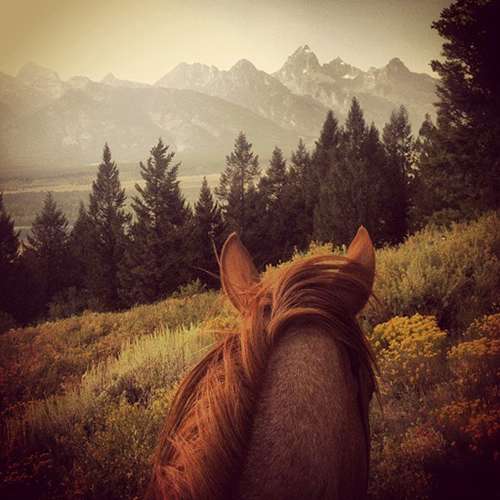 Horseback riding adventures in a dream place to ride, Yellowstone National Park, while at Lone Mountain Guest Ranch in Montana. 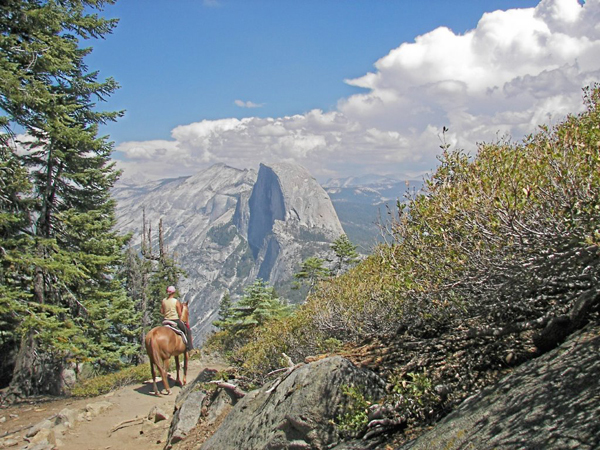 Four U.S. National Parks that are accessible on horseback. 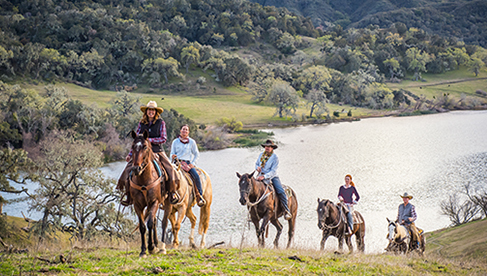 Bring your own horse or ride with a local outfitter. Explore Capitol Reef National Park in Utah in this Equitrekking travel video. Find out more about riding at this national park with Pat Kearney and Hondoo Rivers & Trails. Read about our adventures riding in beautiful Bryce Canyon National Park in Utah. 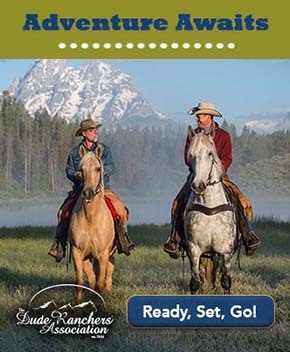 Learn more about horseback riding around the world in our online guidebook the Equitrekking Vacation Guide and top ranches at Top20Ranches.com. Check out more great places to saddle up in Ireland and beyond and get matched with a trip on EquitrekkingTravel.com.